For Montana Debt Relief Assistance, Start with a Free Consultation & Learn Your Debt Relief Options by Calling (866) 376-97846. 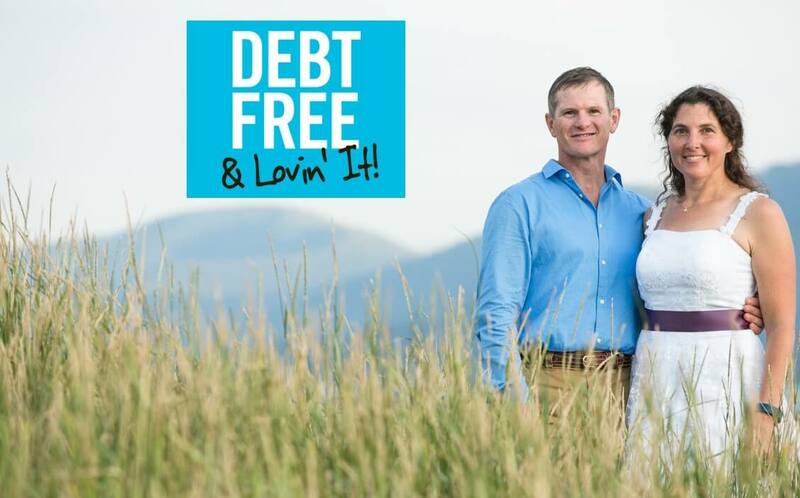 Imagine living life, “debt free” … It can happen. You just need to find a plan that’s affordable and one that you can stick to. At Golden Financial Services, Montana residents can learn their debt relief options — for free. You can talk to an IAPDA certified expert, that specializes in Montana debt relief. Unlike the other debt consolidation companies in Montana, Golden Financial Services can provide you with ALL YOUR OPTIONS, not just one. Talk to an IAPDA Certified Professional About Debt Relief in Montana by Calling Toll-Free (866) 376-9846! Before we talk about your solutions, take a look at the state of our economy, so that you can know the truth. It’s important to live in the reality of where we stand as a country so that you can take the necessary steps to better your situation and lead by example. Most folks have no idea about what’s coming, how their interest rates are expected to increase soon. If they knew about these scary facts, they would do something about the situation while they still had the chance. Montana residents rank #8 in the nation for “highest credit card debt,” according to statistics on ValuePenguin.com. The average credit card debt for a Montana resident is $7,526. The average student loan debt in Montana for students that graduated with a bachelors degree is $26,280. Montana is not alone though. The United States is experiencing an all-time high for credit card debt as of 2018, reaching above $1 trillion. As of December 2017, the Federal Reserve is expecting credit card interest rates to increase. Since student loan and credit card interest rates are expected to rise, Montana residents need to take action today! Montana debt consolidation loans can be used to pay off high-interest student loans, credit cards and just about any unsecured debt qualifies. Debt settlement services can lower the balances on credit card debt and on just about any unsecured debt qualifies. Debt validation can be used to dispute third-party debt collection accounts and in some cases get derogatory marks removed from credit. Consumer credit counseling programs can consolidate credit card debts into one single and affordable payment, reducing interest rates by more than 50%. Federal student loan relief and consolidation options are available at StudentLoans.Gov. Talk to an IAPDA Certified Professional About Debt Relief in Montana by Calling Toll-Free (866) 376-9846! Debt validation programs are a debt relief option that allows consumers in Montana to execute on their consumer rights and challenge a debt collection company before paying the debt. With all of the debt collection fraud occurring in the United States, debt validation is becoming more and more popular. Thousands of consumers are walking away from debt because debt collection companies are operating in illegal ways, including; not being properly licensed to collect on a debt, not abiding by federal and state laws, not reporting accurate information and not maintaining legally required documentation that debt collection companies must maintain. Once a debt is disputed the debt collection company has 30 days to provide everything being requested or stop collection on the debt, and in many cases, they can’t produce what’s required so consumers get to walk away without paying. Debt settlement programs have been around since the early 1990’s in Montana. Debt settlement can provide you with a low monthly payment and get you out of debt in 24-36 months. However, debt settlement is not for everyone. You must have a severe financial hardship and no longer be able to afford to pay at least minimum monthly payments to be considered for debt settlement. If you have stellar credit and sufficient income, debt consolidation loans may be a better solution. With debt consolidation loans, Montana residents can become debt free in around 4-5 years. Debt consolidation loans can come with high interest and fees, so be careful to select only a top-rated lender who charges low fees and interest. Debt consolidation loans to pay off credit card debt only makes sense if the interest rate is lower on the new loan, compared to what the “average interest rate” is on your existing credit cards. Montana non-profit consumer credit counseling companies offer a safe program that allows you to reduce the interest rates on credit card debts. You make one monthly payment to the consumer credit counseling company, and the company then dispurses the funds to each of your creditors but at a reduced interest rate. By reducing the interest rates, your overall monthly payment is also reduced and you become debt free in around four to five years, versus taking five years or longer on your own. Golden Financial Services can refer you to a licensed and non-profit consumer credit counseling company in Montana. How to get debt relief in Montana? Some people in Montana, try negotiating with their creditors on their own. And succeed! While other folks choose to use professionals like at Golden Financial Services, where we live for our clients and saving them money is our number one focus! Debt consolidation loans will come with interest and fees. Find out what the interest rate is, you can then plugin the payment and interest rate into a debt calculator like this one here, and see the total cost of the loan over the long term. Debt settlement programs offered through Golden Financial Services can result in a total savings of around 30%, and that includes fees. Fees are only earned at the time a debt is settled and resolution is obtained. All debt relief programs in Montana come with fees. Even non-profit consumer credit counseling programs include fees. It’s imperative to always check the “client agreement” on any debt relief program that you’re considering joining — with a magnifying glass — and understand all fees involved. Want to try calling your creditors to get them to reduce the interest rate? Learn how to negotiate with creditors on your own, and get approved for a credit card hardship program directly through your bank, by visiting this page next. See the upside and downside to each debt relief program, by visiting this page next.